The St. Louis Cardinals have revealed Keith Hernandez, Jason Isringhausen, Matt Morris, Edgar Renteria, Scott Rolen and John Tudor as the six players nominated for possible induction into the St. Louis Cardinals Hall of Fame, presented by Edward Jones. The six modern ballot nominees were selected by a Red Ribbon committee of Cardinals baseball experts through a secret ballot process. Fans can view the Cardinals Hall of Fame ballot at cardinals.com/HOF and cast their selections online starting Friday, March 1. The two players with the most fan votes after voting concludes on Friday, April 12 will be selected for induction into the Cardinals Hall of Fame this August. 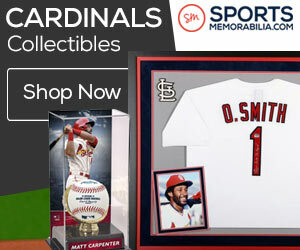 The St. Louis Cardinals Hall of Fame was established to recognize the exceptional careers and significant achievements of the greatest players in Cardinals history. 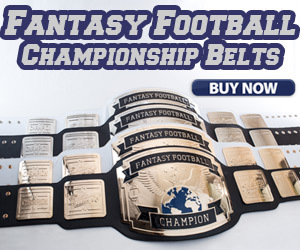 To be eligible, the nominees must have played for the Cardinals for at least three seasons and be retired as a player from Major League Baseball for at least three years. The eligible pool of players is divided into two categories, including “modern players” and “veteran players.” If a player retired more than 40 years prior to the induction year, he is classified as a veteran player. 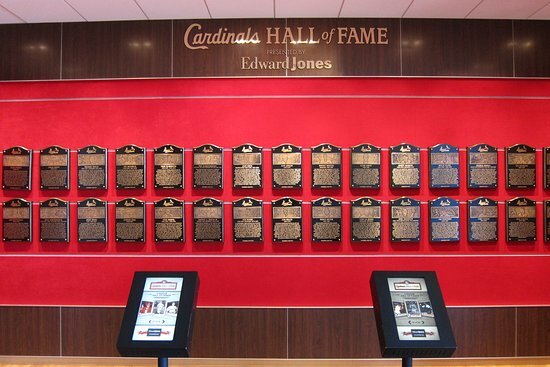 The sixth Cardinals Hall of Fame Induction Class will be announced during a televised 30-minute Hall of Fame announcement special on FOX Sports Midwest, on Friday, April 26, at 6 PM CT and also in a pregame ceremony at Busch Stadium before the Cardinals face the Cincinnati Reds. The formal enshrinement ceremony will take place on Saturday, August 24 during the 2019 Cardinals Hall of Fame Induction Weekend. In his five plus seasons with the Cardinals, Scott Rolen dominated the hot corner winning Gold Gloves in 2002, 2003, 2004 and 2006. He was named a National League All-Star in 2003, 2004, 2005 and 2006, and captured a Silver Slugger award in 2002. In 2004, Rolen slashed .314/.409/.598 with 34 home runs and 124 RBI. His stellar 2004 campaign continued during the postseason with his pennant-clinching, two-run homer off Roger Clemens in the 6th inning of Game 7 of the National League Championship Series vs. Houston. During Busch Stadium II’s final season in 2005, Rolen was voted by Cardinals fans as the third baseman to the All-Busch Stadium team. In 2006, Rolen helped the club to its 10th World Championship, closing out the postseason with a 10-game hitting streak. Jim Bottomley, Ken Boyer, Sam Breadon, Harry Brecheen, Lou Brock, Jack Buck, August A. “Gussie” Busch Jr., Chris Carpenter, Vince Coleman, Dizzy Dean, Jim Edmonds, Curt Flood, Bob Forsch, Frank Frisch, Bob Gibson, Chick Hafey, Jesse Haines, Whitey Herzog, Rogers Hornsby, George Kissell, Tony La Russa, Ray Lankford, Marty Marion, Pepper Martin, Tim McCarver, Willie McGee, Mark McGwire, Joe Medwick, Johnny Mize, Terry Moore, Stan Musial, Branch Rickey, Red Schoendienst, Mike Shannon, Ted Simmons, Enos Slaughter, Ozzie Smith, Billy Southworth, Bruce Sutter and Joe Torre. Tom Ackerman, Frank Cusumano, Derrick Goold, Whitey Herzog, Benjamin Hochman, Rick Hummel, Randy Karraker, Martin Kilcoyne, Jenifer Langosch, Tony La Russa, Bernie Miklasz, Joe Ostermeier, Rob Rains and Brian Walton.